The board of advisors of the Unifour Foundation Endowment is currently accepting grant applications for project funding. Funds are available for nonprofit organizations that serve early childhood development, civic, cultural, benevolent and charitable support needs in the Unifour area (Alexander, Burke, Caldwell and Catawba counties). Applications are available online beginning March 2. Visit this page for information about applying. The deadline for submitting applications is noon April 3. The Unifour Foundation Endowment will award over $240,000 in grants. 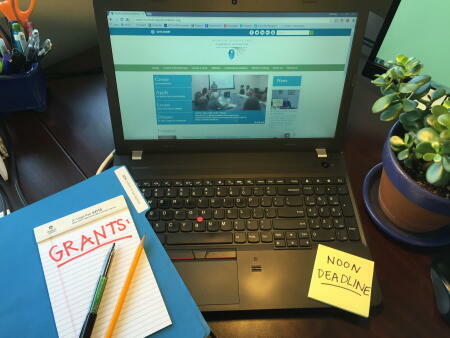 Grant awards typically range from $5,000 to $10,000. The Unifour Foundation is especially interested in applications that highlight collaboration and partnerships or demonstrate an opportunity to achieve significant impact on the Catawba Valley. Larger grant amounts may be considered for applications that benefit multiple partners, and/or unique approaches to addressing education and substance abuse prevention/recovery in the Catawba Valley region. The Unifour Foundation Endowment is a fund of the Catawba Valley Community Foundation.